The ruling delays the start of the trial over the Seattle City Council ordinance blocking an apartment tower that would raze the longtime venue. As the battle over the fate of one of Seattle’s beloved concert venues wages on, a Friday ruling shapes the case slated to go to trial next year. King County Superior Court Judge Mary Roberts threw out two of the claims filed by attorneys for the owner of the Showbox site in a lawsuit potentially seeking around $40 million in damages. The ruling significantly alters the timeline of the case, pushing the trial date from January to late August. Judge Roberts partially sided with the Seattle City Attorney’s office, dismissing claims that a city ordinance temporarily placing the Showbox within the Pike Place Market Historical District constituted an improper land-use decision and an illegal taking of private property. (The city argued that because a permit for the project was never filed, the ordinance was not a determination on a specific land-use application.) The property’s inclusion in the market district would effectively block a 442-unit apartment tower, on the site of the Showbox, proposed by Canadian developer Onni Group. The judge’s decision narrows the scope of the case, which will now consider whether the fast-tracked ordinance violated the owner’s rights to due process and freedom of speech by compelling the site to remain a performance venue. A claim arguing that the City Council violated the Appearance of Fairness doctrine, which requires council members to publicly remain neutral on quasi-judicial decisions, was also allowed to proceed. 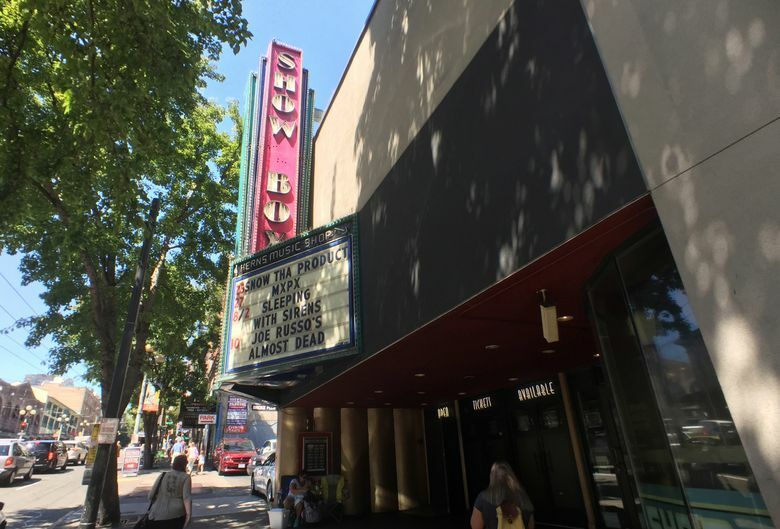 Brad Keller, an attorney representing Showbox site owner Roger Forbes, said the ruling was largely procedural and that he’s optimistic that the ordinance will eventually be struck down. “We view the city as trying to stall and drag out the proceeding, but in the end they’re just postponing the inevitable,” Keller said. News of Onni’s development plans spurred a vociferous backlash from Seattle’s music community, including Death Cab for Cutie frontman Ben Gibbard, who was among the throngs of supporters who testified at public hearings. Last month other local musicians including Sol and Dude York performed at a “Save the Showbox” rally outside City Hall during another public hearing on the ordinance, which was sponsored by Councilmember Kshama Sawant. Passed this summer, the ordinance was a significant, albeit temporary, win for supporters of the 79-year-old venue. The move placed the Showbox under the authority of the Pike Place Market Historical Commission, which has control over how property in the historical district is used, in addition to any proposed physical changes, for 10 months while a permanent solution is sought.